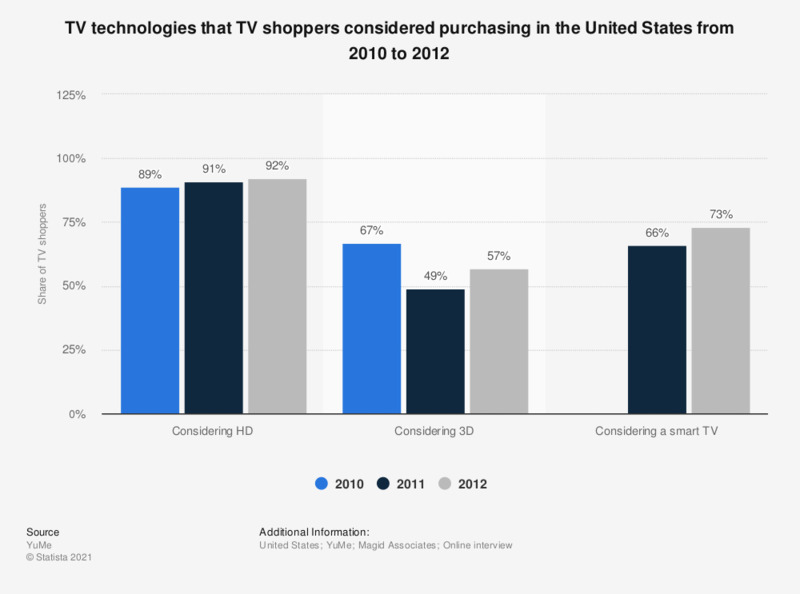 This statistic shows the share of TV shoppers in the United States from 2010 to 2012 who considered purchasing an HD, 3D or Smart TV. According to the source, 66 percent of respondents reported considering purchasing a smart TV in 2011 and 73 percent reported similarly in 2012. * For more information about the sample size and characteristics, see source. Data for smart TV for 2010 was not provided by the source. What do you think is the most overrated broadcast sports technology?